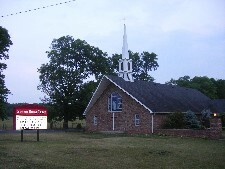 Welcome to the Southside Baptist Church website. We are so pleased that you have chosen to visit our website. Please take your time looking around and remember to check back often for updates. Our goal is that this site can provide a vision as to what our church, and more importantly, what God can offer you and your family. Southside Baptist Church is a family of baptized believers in Jesus Christ, who rely on the Holy Bible as our guide and authority; who exist for the purpose of worshipping, exalting God, evangelizing unbelievers, disciple believers, and impacting society all for the glory of God. Please check out our many avenues of ministry. We hope to see you in one of our church services! You may contact the church office if we can be of any further assistance to you.